Peak Performance!™ serves thousands of clients annually throughout the world. Peak Performance!™’s mission is to help individuals and organizations reach higher achievement through education, reflection, and transformation of the physical, social, emotional, and spiritual components of their lives. Demonstrating respect and responsibility for individuals, communities, and the world. Peak Performance!™ is a skilled, knowledgeable, and innovative team of experts committed to developing long-lasting client-centered relationships. Our ultimate goal-creating, testing, refining and documenting a reliably consistent and replicable system that provides client value and a significant return on investment through rich, enduring experiences. Mark Rowland specializes in helping individuals and organizations reach peak performance by increasing the effectiveness of their personal and professional interactions, knowing and valuing themselves and their contributions, and exceeding self-perceived barriers. His programs bring the power of adventure to the learning process. Not just a speaker, Mark facilitates exciting activity-based sessions that really get people involved. When participants are actively engaged in the process, the training endures. People have fun. Creativity, productivity and achievement peak. Learning is enhanced. He's received rave reviews from large and small companies, both for-profit and non-profit. Clients find teambuilding programs for their companies to be wise investments with immediate paybacks. Teambuilding by playing "games". It may not sound like science, but it works like magic! Mark is the CEO of Peak Performance!™ in Big Bear Lake, CA, and in that role his work in teambuilding and community formation positively impacts over 6,000 participants a year across the continent and internationally. He and his staff remain on the cutting edge of experience-based training and development through active participation in trade associations. He has developed highly effective programs to complement the works of many major management authors, including Peters, Johnson, Senge, Pozner/Kouzes, Jones, etc. Mark's undergraduate work was in Youth Services Administration at Coe College, in Cedar Rapids, IA and his graduate program was in Experiential Education at Mankato State University in Mankato, MN. He served multiple terms on the Board of Directors of the Association for Experiential Education, is a Lead Reviewer in the Association’s Accreditation program, and has presented to acclaim at numerous international conferences for several industry associations. He and his programs are listed in the Faculty Directory for the Young President’s Organization (YPO). He’s currently the (volunteer) Ambulance Director for Arkansas Valley Ambulance and an Incident Management Team instructor for Fremont Search and Rescue. Past Commander for the San Bernardino County Sheriff's Bear Valley Search and Rescue Team, Mark is also an active rescuer and Training Officer for the Bear Mountain Professional Ski Patrol, and an instructor for the National Ski Patrol System. Mark has been a faculty member or field instructor at four major universities, a law enforcement special tactics instructor, a Red Cross disaster specialist, a paramedic, and a U.S. Forest Service fire lookout. He brings this diverse and exciting rescue background to life in his high-energy presentations. Mark lives on the Arkansas River, in the Sangre de Cristo mountains of central CO, with his wife Marcia and two Labrador Retrievers. His hobbies include whitewater canoeing, acoustic guitar, and sustainable technologies. Jeanine on working for Peak Performance!™: . It has been my passion to work with children from all walks of life and offer them program that they will remember the rest of their lives. Through the use of outdoor/experiential/environmental education we are able to provide youth (as well as other populations) with life skills and positive learning experiences that tend to influence certain future actions or decisions. Since the late ‘80’s I have been committed to providing educational programs to (primarily) youth and see it as a way to serve our children and ultimately our society. Community Involvement: Jeanine’s service to her community is characterized by her dedication to providing industry leading outdoor education programs to independent schools, colleges, and community groups for the last 15 years. During this time she has also managed to give more of herself to bettering the outdoor education field by volunteering for the Association for Experiential Education, Soroptimist International, and Idyllwild Charter School. 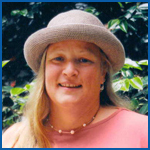 For the Association for Experiential Education Jeanine served as a Board Member and Treasurer, West Region Chair and Treasurer, Accreditation Reviewer, the West Region Conference Convener, and a member of the Strategic Plan Committee (2000-2005). She has been a member of Soroptimist International and volunteered as Treasurer, and for the Idyllwild Charter School Jeanine served as the Board Chair. 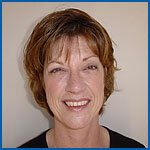 Jeanine has a degree in Business Management and is certified in Wilderness First Responder and CPR/ First Aid. In her spare time, she loves to play softball, cook, read, and spend time with her husband, Pete, and son, Ryan, playing canasta. No ordinary “bean-counter” here! Marcia used her experience in successful writing and office management careers to bring unprecedented balance to the Peak Finance Office. While guiding the organization to financial strength and stability, she has broken the stereotypes of accounting with compassion, creativity, and caring. She embodies the success principles of our curriculum: achievement, performance, and triumph with a huge heart! Environmental responsibility and community service are two of Marcia’s hallmarks, and she directs our Corporate Citizenship initiatives. She has held leadership positions on the Bear Valley Search and Rescue team, been active in Habitat for Humanity, as well as in local and national environmental organizations. Marcia is a professional artist, published author, and accomplished musician. 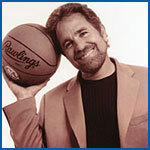 Burt is an exciting, nationally-known speaker and trainer. He has inspired, motivated, and coached thousands of people across the country. Participants report that they are inspired to believe in their ability to succeed beyond their highest personal and professional dreams, and they leave equipped with the tools to make these dreams a reality. Burt’s clients consistently report a more intense focus and greater productivity after his presentations. His programs range from one-hour keynote talks to three-day intensive Leadership/Team Building Programs. Burt’s messages are customized for corporate and public sector groups, and collegiate athletic teams. In addition, Burt tailors specific programs for the unique challenges of parents, students, and educators. Burt is a Certified Professional Counselor. 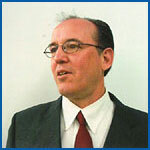 He has been in private practice, leading seminars and giving keynote talks for over twenty-five years. He is a published writer and poet. In addition, he created and directed the award-winning TV news segment, “Successful Living." He is an avid mountain climber, skier, and outdoorsman. 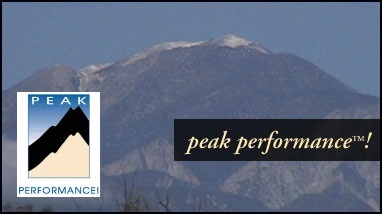 Burt also manages Peak Performance!™’s office in Flagstaff, AZ. Curriculum is the heart of our service. Barb keeps us on track with innovative methods, sound technique, research-based principles, understanding of and compassion for students, and inspiration. She’s the genius behind our unique “Spectrum of Services” approach to selecting the perfect Learning Modules for client success. Dr. Law matches her Ph.D. in Applied Linguistics, M.A. in Teaching English as a Second Language, and a Teaching Credential with real, practical, hands-on experience as a tenured Associate Professor, secondary, and middle school teacher. She has authored two books and dozens of professional articles and presentations in the field. John specializes in increasing the effectiveness of clients’ personal and professional interactions, knowing and valuing themselves and their contributions, and exceeding self-perceived barriers. His programs bring the power of adventure to the learning process. Not just a speaker, John facilitates activity-based sessions that get people excited about working together and focused on a common goal. He's received rave reviews from large and small companies, both for-profit and non-profit. John’s undergraduate work was done at the University of Arizona in Tucson, and he has been involved with experiential education for over twenty years. His hobbies include hiking, fishing, canoeing, and playing acoustic guitar. This just in! John Ryan is the new Branch Manager for the Peak Performance's Las Vegas office. He'll bring the excitement of experience-based training programs to the excitement of Las Vegas. Watch Out! Ask him how to get your team singing off the same page, focussed on common goals, and excited to be working together! Defining Moment: Bruce’s outdoor pursuits, quest for adventure, and community involvement have strong and deep roots. In Bruce’s own words, he explains his introduction to the outdoors, “Some of my earliest memories are of camping trips with my family--my parents made it a point to get us out camping at least once a month. Looking back, this was some of the best times I spent with my parents and family.” Now that Bruce has kids of his own, Sarah, and Kahle, he and his wife, Ann, make it a point to get them out as often as possible. Bruce on working for Peak Performance!™: “I love the fact that now I can pass on my love of the outdoors to kids and teens who don't have this same opportunity. I honestly believe that every child needs to spend time in the outdoors- be it car camping, backpacking, day hikes, or at camp - this was a defining part of my life and can be a defining part of every child’s development if given the opportunity." Community Involvement: Bruce’s commitment to his community includes work with the Boy Scouts of America - Associate Adviser for Venturing Crew 87 - Big Bear Lake, CA. 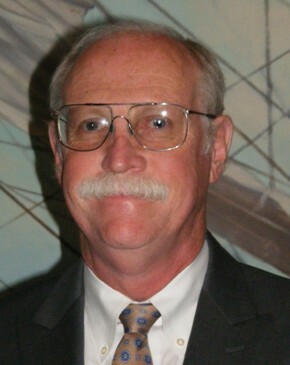 He has been the Treasurer, committee member, and former assistant leader for Cub Scout Pack 87. He is certified by the Boy Scouts of America as a Lead Climbing Instructor, Outdoor Leader, Backpacking Leader, and Range Safety Officer for archery, BB, rifle, pistol, and shotgun ranges! He is also an active member of the San Bernardino County Sheriff Search and Rescue, Bear Valley Team. 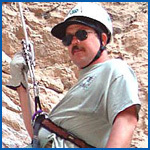 He is certified by the National Association for Search and Rescue at the SAR Tech Two level, and certified by San Bernardino County in CPR / 1st aid, Alpine rescue, Technical ropes, and Rope rescue. "Things I really believe in: Honesty, Integrity, Loyalty, living by the "Golden Rule" - Do unto others...As corny as that sounds, I truly believe in that. I try my best to teach by example in the way I live and act. I have always enjoyed working with and helping others even way back when I was a kid in Sunday school!"